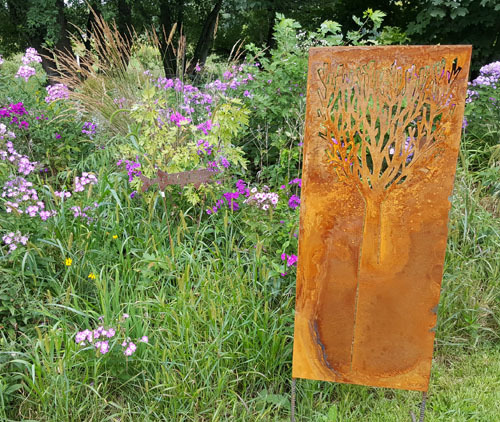 This garden panel would make a lovely addition to your indoor and outdoor spaces that would create a unique and Interesting focal point! 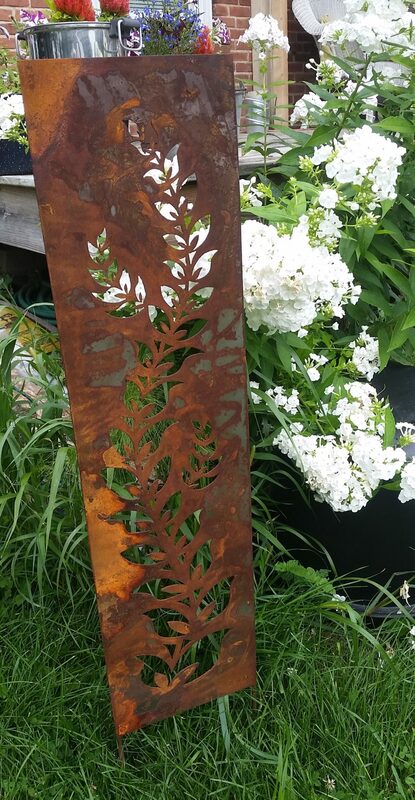 This Fern Garden panel would make a lovely addition to your indoor and outdoor spaces that would create a unique and Interesting focal point! 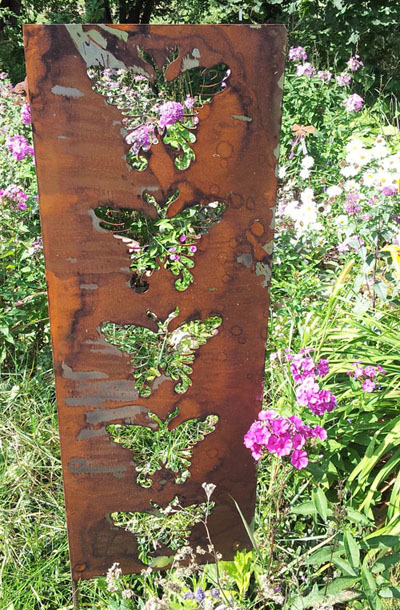 This naturally rust colored Large Butterfly Garden Panel would look good in any garden or planter. Rust does what it wants, so your panel will look different. 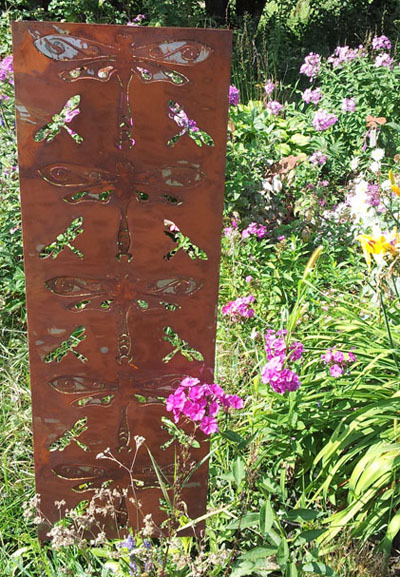 This Small Butterfly Garden Panel would make a lovely addition to your indoor and outdoor spaces that would create a unique and Interesting focal point!